Back then, biologists believe that only extremophiles (microorganisms that live in extreme conditions) can survive the life inside an active volcano. Their views changed after the discovery of an enclave inside Kavachi, a volcano in the Solomon Islands. National Geographic researchers found a thriving ecosystem inside an active volcano. They also found a rare type of shark living on it. The team from National Geographic channel submerged an underwater camera that can survive high temperatures. As they descend the water turned from blue, into green and into the distinctive sepia color of the volcano. They spotted stingrays, sharks, and some cartilage boned fishes. 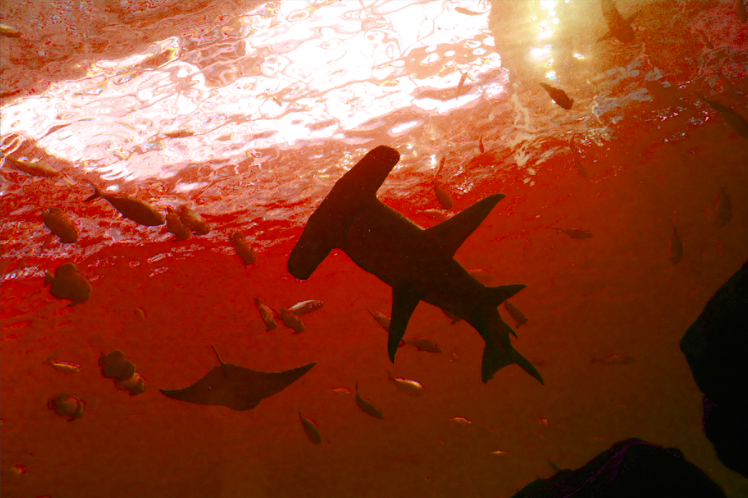 They also spotted a hammerhead shark on the stunning underwater footage. Since 2014, the place keeps baffling researchers regarding how the animals and corals living there adapted to the extreme volcanic conditions. There are only 2 recorded eruptions of the underwater volcano(the first one happened in 1939 and the latest in 2014). Netizens made puns connecting the place to the cult film Sharkboy and Lava Girl.